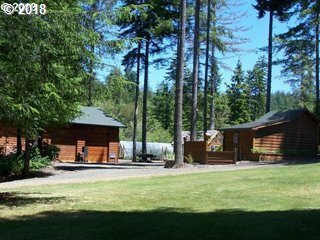 SUNNY, PRIVATE, ONE OF A KIND ACREAGE CLOSE TO TOWN. 5 acres with shop, greenhouse & much more, all professionally built by a localretired contractor, Gary Morris. 3000-gallon holding tank for well. Great gardens, chicken houses, and woodshed. Complete and total privacy. 32' x 48' custom shop/RV garage. 10' x 20' greenhouse, 8' x 24' woodshed, travel trailer included & other outbuildings.